November is a big month for Lauren Graham, and not just because Gilmore Girls: A Year In The Life comes to Netflix on Nov. 25. On Election Day, Graham performed her democratic duty and took to the polls to cast her vote. To celebrate, Graham posted a picture of her boyfriend with Hillary Clinton and stated her support for the candidate with the hashtags"#ImWithHer #AndAlsoWithHim." While those awaiting Graham's return to Stars Hallow certainly recognize Hillary Clinton, those who aren't familiar with Graham's non-Gilmore Girls life may not recognize her boyfriend/co-star. Who is Lauren Graham's boyfriend? 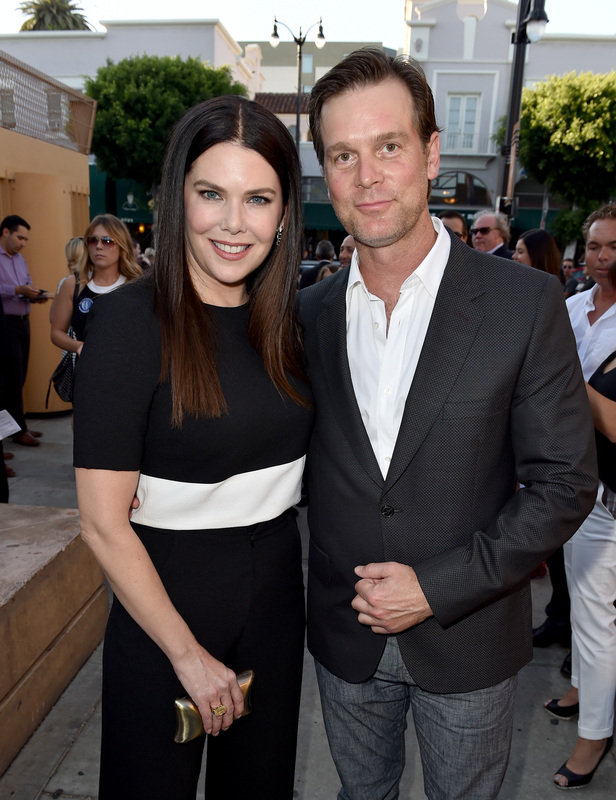 Lauren Graham is dating fellow actor Peter Krause, who is most recognizable from his starring role on HBO's critically acclaimed series Six Feet Under. Krause and Graham met on the set of the NBC drama Parenthood, on which they were both members of the main cast. Krause and Graham's became very familiar on the show — in part because they were playing brother and sister (which, despite the ick factor, apparently didn't bother Krause). Krause and Graham are both accomplished actors who are politically active, but that doesn't clear up where and when Krause was able to get a picture with the possible future president. It turns out Krause and Clinton didn't meet at a political event or a fundraiser, but backstage on the set of Jimmy Kimmel Live! The pair were both guests the same episode of the late night talk show, and Krause even talked about meeting the candidate while on Kimmel's couch. Krause told the late night host that "I met her, and it was very lovely, and I hope for the best." It was the first time Krause ever met Clinton, but considering his and Lauren Graham's vote it's clear she left a great impression.